Jones, Richard. "Action libérale nationale". The Canadian Encyclopedia, 26 February 2016, Historica Canada. https://www.thecanadianencyclopedia.ca/en/article/action-liberale-nationale. Accessed 22 April 2019. 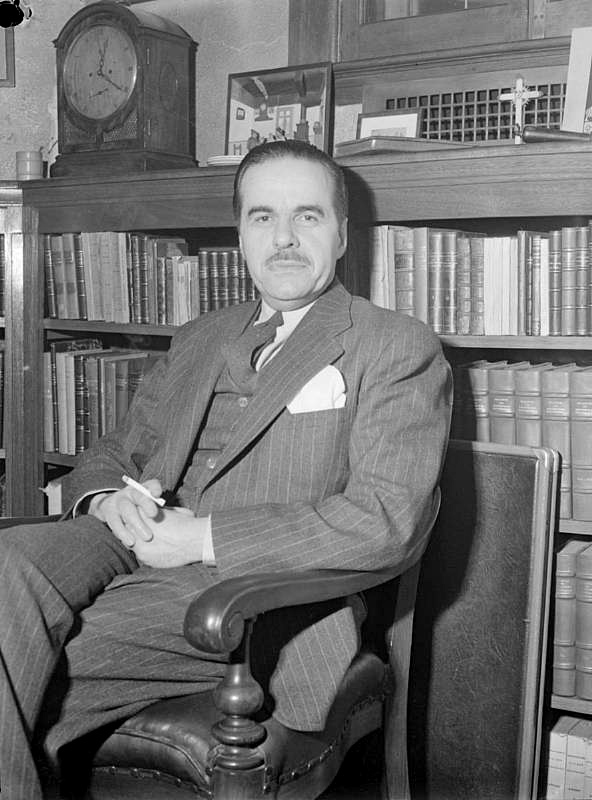 Founded in 1934 by discontented Liberals under Paul Gouin, this third party in Québec politics quickly gained the support of radical French Canadian nationalists such as dentist Philippe Hamel, lawyer Oscar Drouin and Québec City mayor Ernest Grégoire. Created during the economic crisis of the 1930s, the Action libérale nationale (ALN) was influenced by the nationalist thinking of priest Lionel Groulx and the ideas of economist Esdras Minville, head of the École des hautes études commerciales(HEC Montréal). Published in 1934, the party manifesto advocated for agricultural, judicial, industrial, fiscal, economic and electoral reforms. This action plan, used as an electoral platform, won public support. In a nearly successful bid to upset the incumbent Liberal government of Louis-Alexandre Taschereau in the 25 November 1935 provincial election, the ALN joined forces with the Conservatives, led by Maurice Duplessis, to form the Union Nationale (UN). 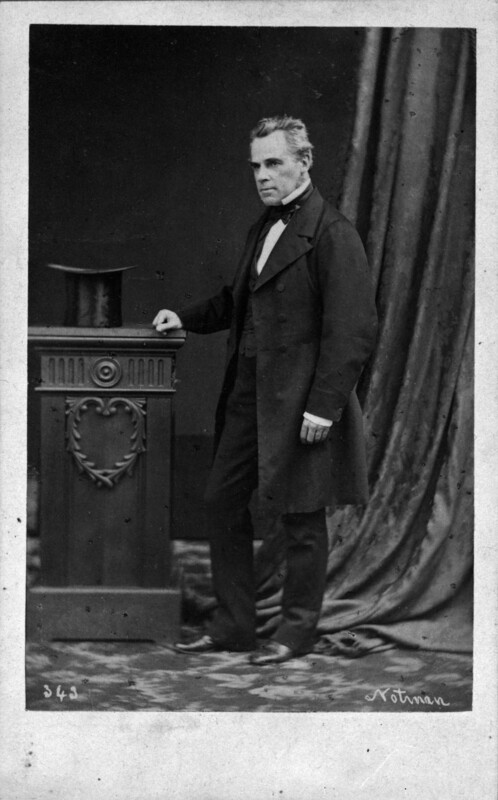 In the following months, Duplessis manoeuvered to ensure his leadership of the coalition. After the UN’s striking victory in the 1936 election, most of the well-known nationalists formerly linked to the ALN broke with Duplessis, whom they accused of refusing to implement the party’s program. Paul Gouin, who had not even been a candidate in 1936, attempted to revive the ALN in the 1939 election, but he was not successful. He was reappointed leader on 24 July 1938. However, the party won only a meagre 4.5% of the vote, and Gouin was defeated in the Montréal-Mercier riding. The party was dissolved shortly thereafter. After a brief stint as the Official Opposition (1939–44) during Adélard Godbout’s Liberal government, the Union Nationale returned to and retained power until Jean Lesage’s Liberals were elected in June 1960. Maurice Duplessis remained the leader of the Union Nationale until his death on 7 September 1959. Despite its short-lived existence, the Action libérale nationale made its mark on the Québec political landscape. Many of the reforms proposed in its initial platform were implemented by the governments of Maurice Duplessis (rural electrification), of Adélard Godbout (nationalization of electricity) and of Jean Lesage (labour code). Patricia Dirks, The Failure of l’Action libérale nationale (McGill-Queen’s University Press, 1991).